Does diversification lead to lower quality of investments in dividend portfolios? Diversification matters, because it protects investors from the proverbial bad apple that can take a serious bite out of your dividend income at the worst possible time. Dividend investors should construct an income producing portfolio consisting of at least 30 individual stocks, which are representative of as many sectors that make sense, in order to be somewhat diversified. One of the main concerns that some investors have against diversification involves time spent keeping up with companies and the quality of new investments purchased. The problem is that not every company is a quality one, and by expanding their list of holdings from 20 to 40, some investors are concerned that the quality of the portfolio would be deteriorating. This could be particularly true, if investors were simply adding additional positions in companies the sake of adding new positions simply to meet the number of positions requirement. Investors should never sacrifice quality of the companies they buy stock in, simply for the purposes of diversification. Owning shares of a company that makes horse-carriages just so you have exposure to the sector would have been a bad idea ever since the automobile became mainstream in the early 20th century. Investors should choose only these quality stocks that make sense and which are attractively valued. The number of positions in a portfolio will depend on the external environment and the availability of quality firms at attractive valuations. It is much easier to start a dividend portfolio when stocks are undervalued, than when stocks are hitting new all-time-highs every day. However, in my investing I have found that there are usually at least 20 quality dividend companies with sustainable competitive advantages which I find attractively valued. I still monitor companies with solid competitive advantages that I have added to a wish list for a potential inclusion to my portfolio, in order to be ready when the right time comes. For example, in early February, I bought shares in McCormick (MKC) and Diageo (DEO) on the dip, thus taking advantage of a brief sell-off that had temporarily taken those shares into value territory. The initial amount of time spent to research new positions can easily consume 10 – 30 hours per week. However, keeping up with new material developments affecting the company should not take more than a few hours per week. This makes a diversified portfolio of 30 - 40 individual securities manageable to maintain and monitor. For my portfolio, I try to gain exposure to as many of these sectors as possible by purchasing the top three or four companies that pay rising dividends. This provides for an easy pool of at least 30 – 40 companies to own at some point in a diversified dividend portfolio, without lowering the quality of an income portfolio. By selecting the top three or four players in a given industry, when one incidentally ends up cutting dividends or going under, the other major players in the field will win business or might be available for purchasing on dips. As a result, the overall risk to the portfolio is not going to be that high, unless the whole sector is imploding. Of course, it doesn't make sense to merely add companies for the purposes of diversification. If a company is not perceived as a good quality by the investor, and it cannot be purchased for a good value today, then it should not be acquired, even if that means no exposure to the sector altogether. In some sectors such as energy, it is easier to select the top players, since most companies in this group of stocks tend to pay a stable and rising dividend. In other sectors such as Technology, it is more difficult to find a company that has raised distributions for over 20 years in a row for example. The availability of good stock candidates for inclusion in a dividend portfolio is going to vary over time. For example, back in 2008 - 2009, I found utilities like Con Edison (ED) or Dominion Resources (D) to be decent picks. Currently, I am having a hard time justifying a purchase in any utility company in the US. In my personal experience, having a diversified portfolio, representative of many sectors, and involving multiple companies per sector has definitely shielded me during difficult times. For example, back in 2010, my energy holdings included Exxon Mobil (XOM), Chevron (CVX), British Petroleum (BP), Kinder Morgan (KMR) and Enbirdge Energy Management (EEQ). 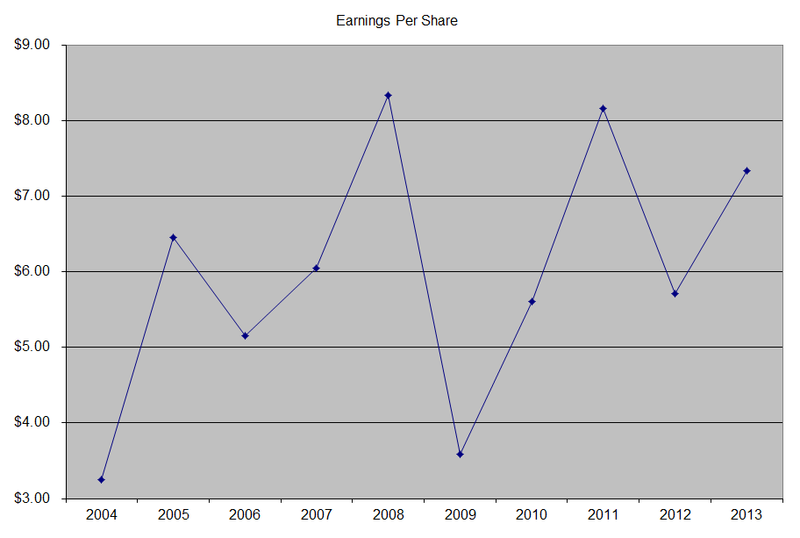 When British Petroleum (BP) cut dividends in 2010, I immediately sold the stock. With the cash proceeds I purchased a stock which was in the energy sector and was also based outside of the US. The company I purchased was Royal Dutch (RDS/B). I could have easily purchased any of the other major oil players, and had similar results. Whenever I sell a stock, I try to replace it with the stock of a company in the same industry when possible. However, this is not always a viable alternative. 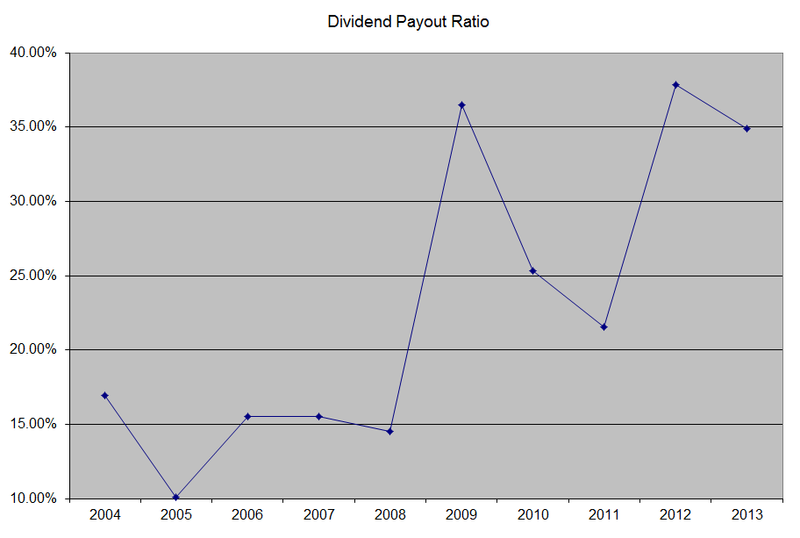 Another example was during the 2008 – 2009 period, when many financials cut dividends. I ended up selling State Street (STT), General Electric (GE) and American Capital (ACAS). 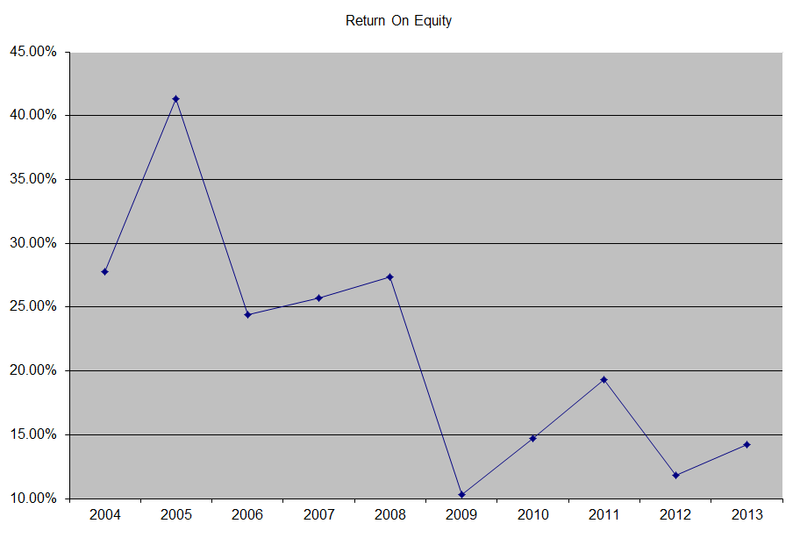 However, other financials such as Aflac (AFL) or M&T Bank (MTB) did not cut dividends, which is why I hung on to them. I even ended up adding to Aflac at some crazy low prices. Unfortunately, the financial sector did not offer many financial companies that fit my models, which is why I ended up reinvesting most of the funds generated from the sales in stock from other sectors. To summarize, it is important for ordinary investors to spread their risk out, in order to protect their nest egg. This could be easily done by creating a diversified dividend portfolio that includes at least 30 - 40 equally weighted positions, that are built slowly over time, and purchased at attractive valuations. One should not add companies merely for the sake of adding companies of course. However, based on my experience since 2007 - 2008, a decent number of quality dividend paying stocks is always available at attractive valuations to the enterprising dividend investor. Therefore, it is quite possible to build a diversified portfolio of quality companies, and live off dividends, without being exposed too much to sector risk. 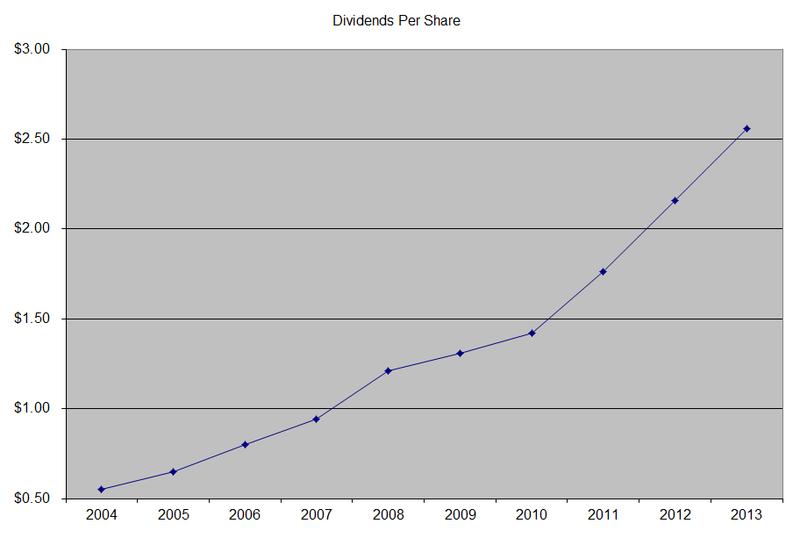 As I frequently say, the goal of dividend growth investor is to get rich, and stay rich. I believe that one needs to get rich just once in their lifetime, and then reap the rewards for the rest of their life. You have spent your whole life accumulating your nest egg. Building a long term dividend portfolio takes a lot of time, effort and a little bit of skill or luck. Once the dividend machine is set up properly however, and starts throwing off a sufficient stream of income, investors would have to spend less than 10 hours/week on managing investments. This is not a huge time commitment, but it provides investors with the ability to make changes if stories do not work out as expected. Investors, who looked after their income portfolios in 2007-2009 bear market, would have been able to dispose of their securities in a timely manner after they cut or eliminated dividend payments. The question is however what happens if the individual/s who built the portfolio from scratch cannot afford to manage the investments anymore. This could be due to several reasons including death, incapacitation or other gruesome events. As dividend investors, we tend to focus on selecting companies that would generate income for decades, but do not spend a lot of effort on who would be the next one in the family to maintain and manage the portfolio. Selecting a beneficiary for your online brokerage accounts is just a small step in the process. Writing a will which lists all online accounts is another small step that should be done, in order to avoid having inheritors scramble to locate assets after an unfortunate event. These unfortunately still do not answer the question of whom and how the income portfolio would be managed. There are several potential options, each coming with its own set of risks. -The first is to just hold on stocks, don’t do anything , except for maybe sell after dividend cuts. I have noticed that many companies tend to raise dividends for long periods of time, and then freeze them, only to continue raising them again. Kellogg (K) is a prime example of this, as it ended a four decade streak of annual dividend raises in 2000, only to start boosting distributions again nine years ago. One piece of research I find particularly telling is the work that Jeremy Siegel has done on the performance of the original S&P 500 companies in 1957. He found that a portfolio of these companies, where investors did absolutely nothing, except for reinvest dividends and reinvest cash proceeds from acquisitions in the portfolios, would slightly outperform over the next 50 years. - The second thing to do is to educate family/close ones, in order to ensure they can manage investments without a considerable input from outside help. The goal is to make family members motivated enough so that they can manage money and are interested in making it last for several generations. If family members are not motivated, chances are the amounts of money will be spent quickly, leaving little behind in a few short years after the original accumulator is no longer in charge. As a result, creating a trust fund where only the income could be spent might be the best solution. This would require some help from an attorney, in order to set up the trust properly, and outline bylaws and trustee responsibilities. - The third option is to hire someone to manage investments and focus on implementing your strategy. This could cost a lot, particularly if the wrong type of an advisor is selected. In addition, there has to be a process for selecting advisers in the future, since many would end up retiring on their own. You also need to decide how to avoid the future Madoff’s of the world. - There is a fourth option, where one could simply place the money in mutual funds, and probably be just fine with that. However, going back to step two, if the beneficiaries are not properly trained to think about money, they can blow through the funds in no time. Alternatively, someone who has a large nest inherited nest egg and doesn't know a lot about investments can panic during the next bear market and sell. Thus the beneficiary could potentially undo decades worth of patient compounding by the original capital accumulator. For my money, I plan on placing them in trusts that would distribute dividends only to beneficiaries for decades to come. The only decisions that would be done by a trustee would be about selling companies that cut or eliminated dividends, or distribute proceeds from companies that are acquired for cash by someone else. What are you doing to ensure longevity of your nest egg, beyond your own generation?